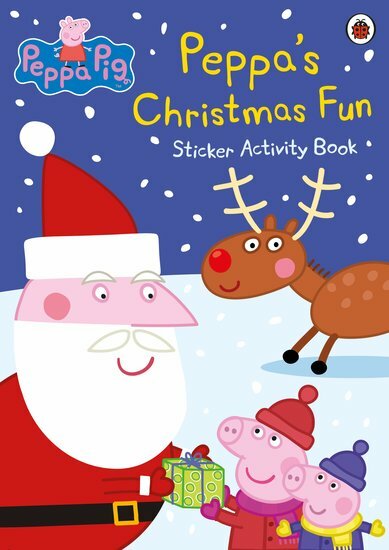 Stickers, games and festive fun with Peppa and George. Find out what Santa has brought them! Peppa Pig is the happiest little piggy in the universe. Why? It’s nearly Christmas! Share the excitement with her in this festive funbook: a merry blaze of colour and joy. (Look – even that cute reindeer is smiling!) All the best things about Christmas: tinsel, presents, yummy food and snowy games. Plus bright stickers, colour pictures and lovely activities. Merry Christmas, everyone!